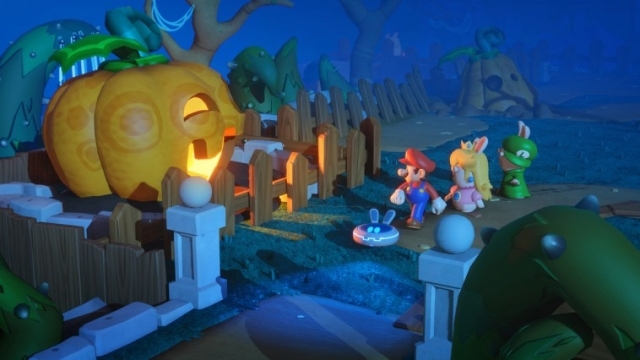 The Rabbids are up to mischief again, and this time they’re bringing the mayhem to the Mushroom Kingdom! A mysterious vortex has torn apart this once peaceful land, and now an unlikely team of heroes must battle through four warped worlds to restore order. 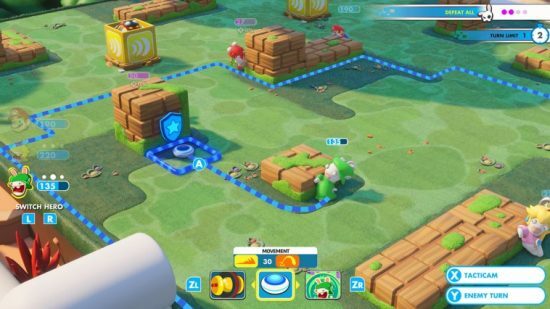 Mario + Rabbids Kingdom Battle is a strategy adventure game. The strategy part of this new title for the Nintendo Switch will challenge you to solve different puzzles and defeat whacky enemies with turn-based combat. The adventure side will see you exploring to uncover secrets, collect coins, and progress in worlds that have a distinctive Mario feel but with a Rabbid twist. 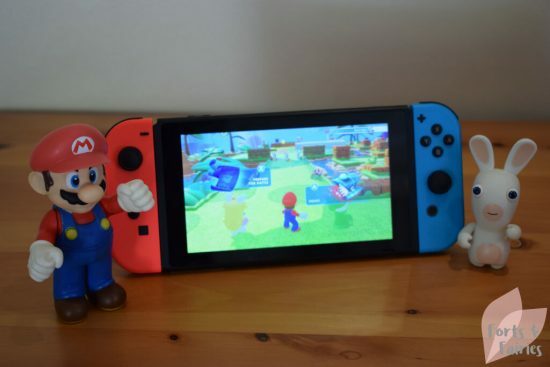 There are also the traditional Mario mini-games to enjoy along the way. You’ll have to put your strategy cap on as you enter the battle arena. You’ll have the chance to guide each team member one at a time, selecting where they move and which enemy they fire at. Luckily for you, team Mario has a few tricks up their sleeve, such as being able to slide tackle to knock extra health off the opponent, jump off your team member’s head to gain ground, as well as employ special abilities like shields and extra health to try and outwit, outplay and outlast. 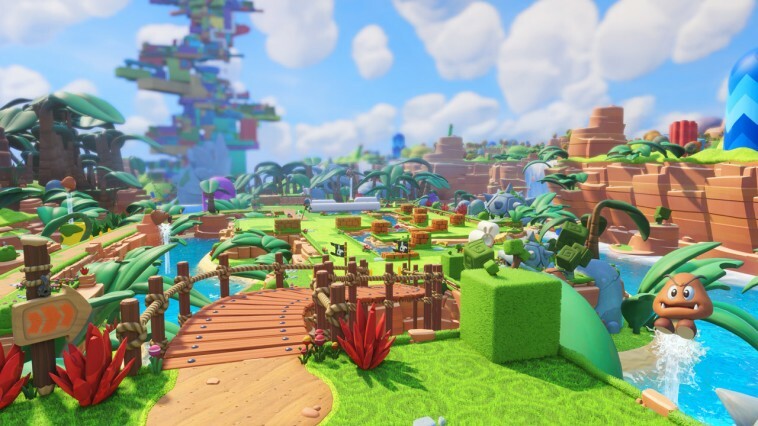 The arenas have cover to hide behind, as well as Rabbid eared warp pipes to use to navigate to higher or lower ground. This ain’t no traditional Mario game, so you will have to think out of the box as there’s no jumping except for the battle skills you unlock! 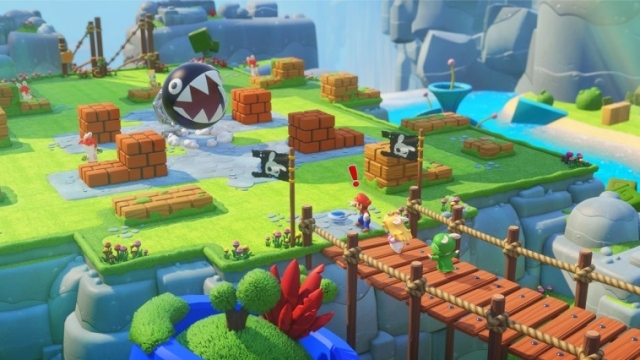 You’ll face many different enemies, including the more difficult bosses such as the formidable Pirabbid Plant (a cross between Petey Piranha and a Rabbid) and Rabbid Kong (a giant Rabbid whose love for bananas is also the key to his downfall). 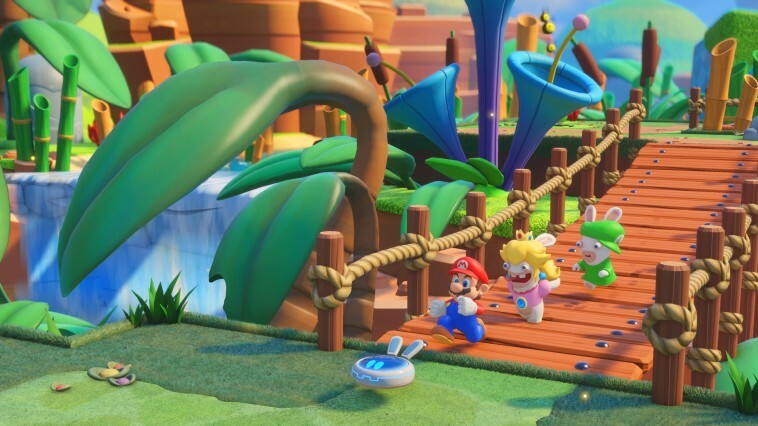 Team Mario includes the red hatted plumber himself along with Rabbid Peach and Rabbid Luigi. You’ll be able to add heroes to your team as you progress, and to change your team roster to make use of their different abilities. 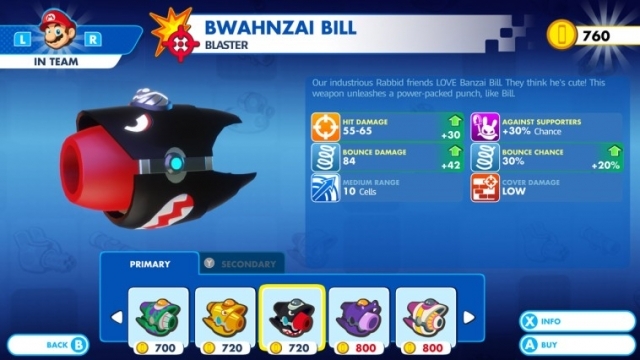 You can also purchase new weapons once unlocked and upgrade the character’s skills which adds depth to the game. As you explore the story will progress and you will move through the different worlds and face battles that become increasingly difficult. 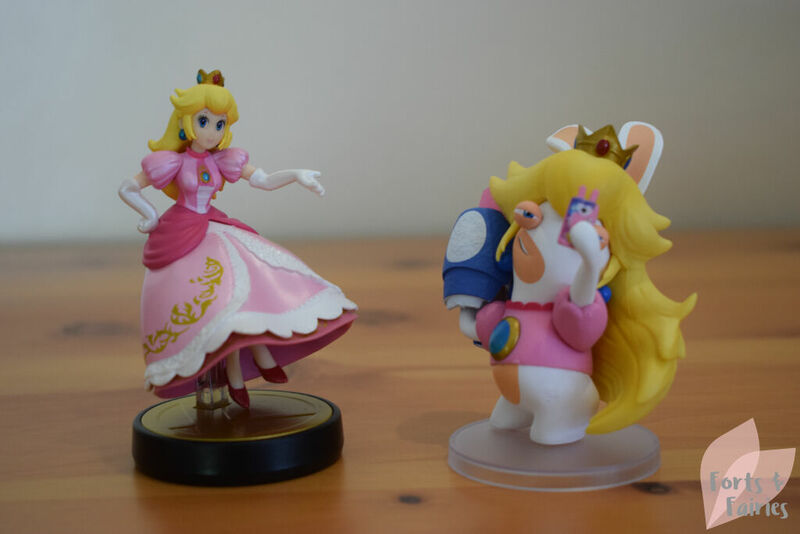 Of course, the Rabbids bring their trademark humour to the game, such as Rabbid Peach throwing her wig and crown off in disgust when she loses a battle. 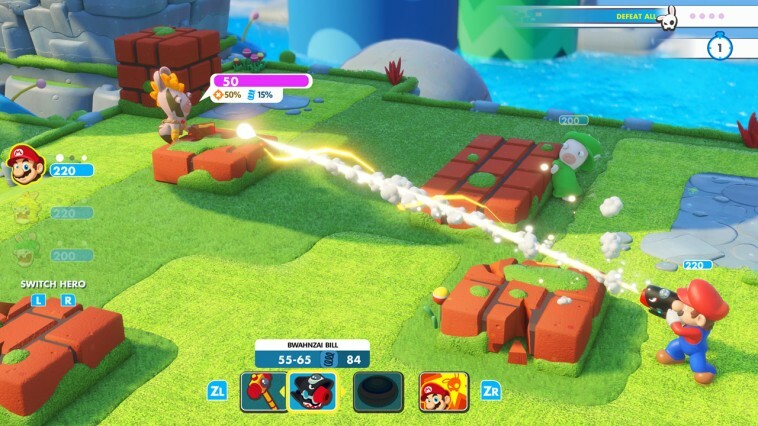 You can also enjoy battles together with a friend in various co-op challenges in local multiplayer. Each of you will control two heroes as you battle the Rabbids and you can test your skills together in three difficulty levels. It’s a lot of fun to team up like this, and adds even more hours of gameplay to an already substantial experience. 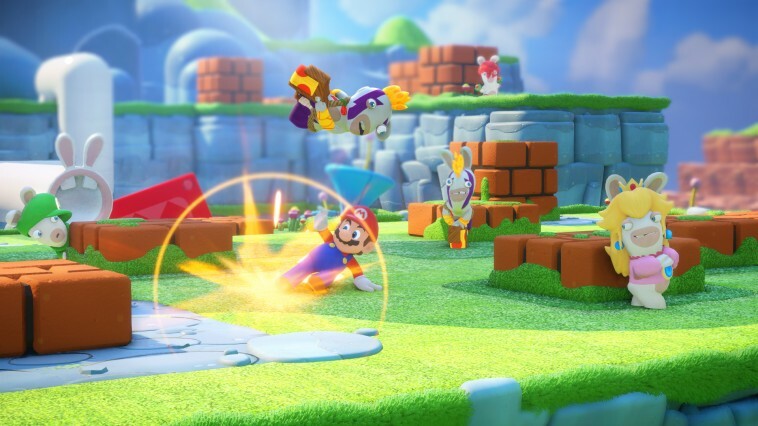 Mario + Rabbids Kingdom Battle is another great title in the fast-growing Nintendo Switch library. It’s available at a recommended retail price of R899 in stores, from online retailers, or from the Nintendo eShop, and has earned its spot in my Switch collection. 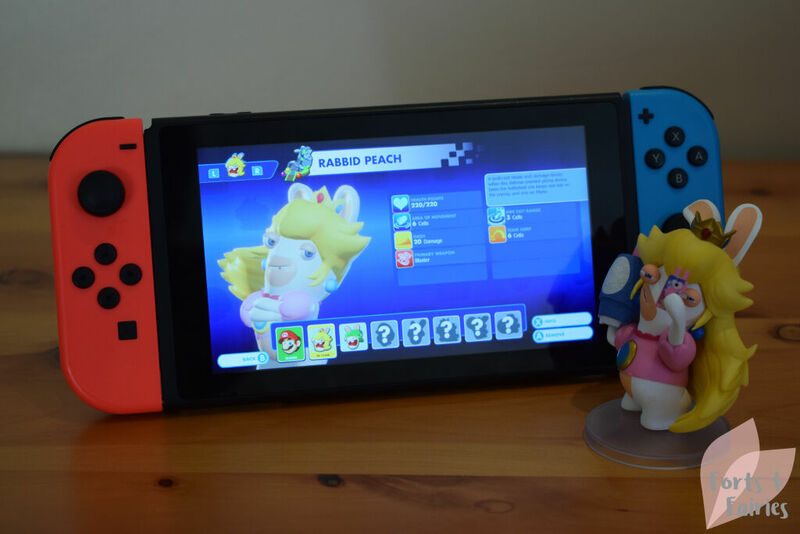 Thanks to Megarom Games for bringing this awesome Mario and Rabbids fun to our Switch gaming time!